Be sure to read all the way through, and please pass the information on to others in your unit. Hope to see many of you this Thursday at roundtable. Please forward this monthly newsletter to other people in your unit that may not be receiving it. They can also click here to subscribe if they are not on our mailing list. Unit leaders, don't forget to send someone from your unit to the roundtable meetings. It's a great time to meet other leaders, share best practices, and ask questions. 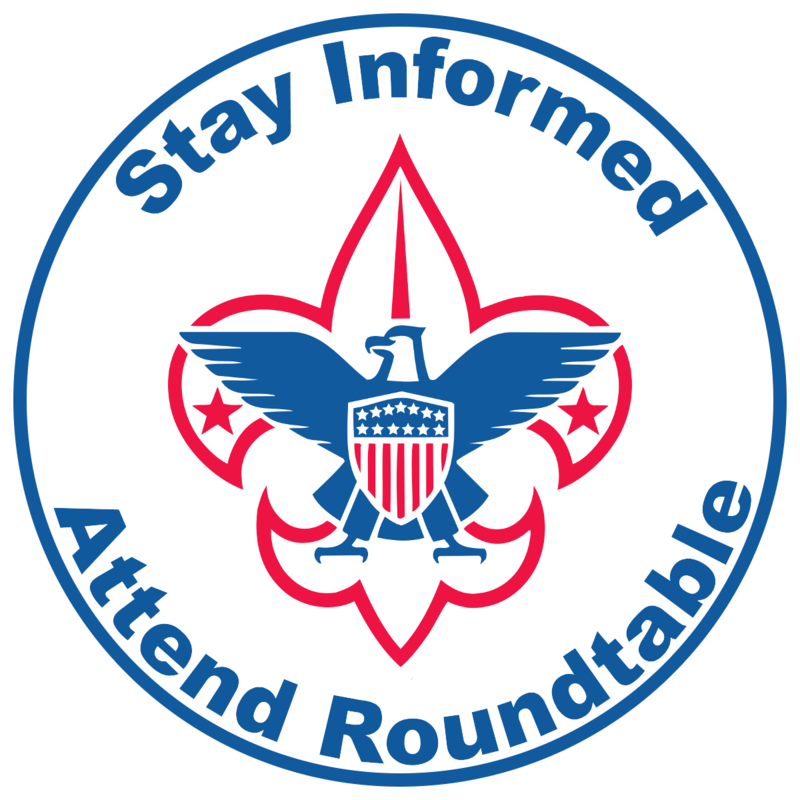 Roundtables are the first Thursday of every month (except July and August), starting at 7:30 p.m., 220 N. San Pedro Rd., San Rafael. Fun and fellowship begins at 7:30 p.m., winding down at 8:30 p.m . The discussion sometimes continues for those who wish, but our meeting ends at 8:30 for those who need to return home. 3-2-1 Blast Off!! One of Marin's Super-Scouters, Ted Lee of Pack 33, will demo something special--a rocket launcher designed for 2-liter bottles. If you're at all familiar with this STEM project, we'd love to see some design ideas that are out of this world. We're going to have another great roundtable! The first part will be the annual summer camp orientation for Camp Marin Sierra. Find out what's going on at Marin Sierra, who's running camp this year, and how you can be involved. Chris Cardinal will be moderating this month's roundtable since Dave is not able to be at the meeting. He'll have more in store after the summer camp session is over. We need a troop to volunteer for opening and closing flags for May and June. Please contact David Roncaglia, roundtable commissioner, for which month you would like to do the color guard. No Venturing rally this month. If you have any information to share for the next rally, please email to Monika Kainz. September 6, 7:30 a.m. to September 8, 5:30 p.m., and September 28, 7:30 a.m. to September 30, 4:00 p.m., at Camp Tamarancho. Click this link to learn more and to register. BALOO (Basic Adult Leader Outdoor Orientation) for Cub Leaders--Sept 21-22 at Camp Tamarancho. This is the same weekend and location as Cub Scout Adventure Weekend so that Cub parents can attend BALOO while their Cub Scouts attend Cub Adventure Weekend! Learn from experienced Cub Leaders to help your pack run successful outdoor events. Cubmaster/Den Leader Position-Specific Training--Saturday, October 5, 9:00 a.m. to 12:30 p.m. Location: Marin Community Foundation, Ignacio. Scoutmaster/ASM Position-Specific Training--Saturday, October 5, 9:00 a.m. to 2:00 p.m. Lunch is provided. Location: Marin Community Foundation, Ignacio. Intro. to Outdoor Leader Skills (IOLS) training at Camp Tamarancho-The date in October to be announced soon. Registration for these courses will be on the Marin Council web site soon. We have received several calls about the Marin Council Pinewood Derby Race. As yet, we don't have dates or a team to conduct it. 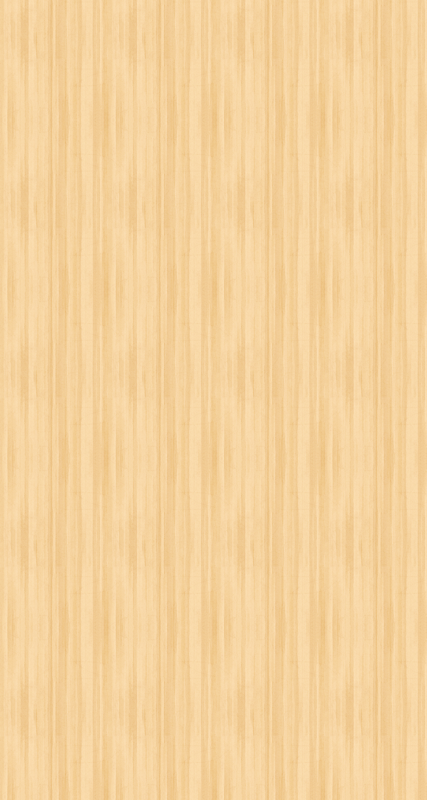 We are seeking a track, software, and a capable team to run the annual Pinewood Derby Race at the Marin County Fair this summer. Dates and entry forms will be released soon; however, we cannot release entry forms until we have all the components assembled. Email Tim if you can assist. Day Camp is the highlight of a Cub Scout's year! However, boys and girls who are not currently in Cub Scouts are welcome to attend. Day Camp is open to youth who will be entering the second through fifth grades in the fall of 2019. Cost for Day Camp is $265.00, with a $20 discount for currently-registered Cub Scouts. Bus service is $50 per camp. camp programs. Just like at camp, events and activities are run by older Scout troops and Venturing crews. The Cub Scouts will get an opportunity to meet summer day camp staff and older Scouts, and as a bonus, they get an idea of all the fun and exciting things that await them when they become Scouts or Venturers. The theme and activities around "Bug Hunter" will provide an opportunity for Scouts, siblings, and parents to learn and practice Scout skills, crafts, and values. Marin Council troops and crews will lead campers in events ranging from field sports, climbing, hikes, shooting sports, and nature exploration. The day will close with a campfire program. The cost is $15 per person age 5 and older. This price does not include food, which varies by meal. Meal ticket sign-up deadline is May 10. Let's make sure our camps are fully staffed for our Scouts! Now is a great time to apply to insure you get a place on staff and perhaps even the job you desire. There are still positions open at both camps. You can download the application for the 2019 Marin Sierra staff by clicking this link. We are seeking an aquatics director, climbing director, waterfront staff, shotgun director, medical officer, food services staff, and climbing assistant. Applications for Cub Scout Day Camp can be downloaded by clicking this link. If you have questions or need information, you can email Nancy Rozell about Cub Scout camp or Tim Wells about Scouts BSA camp. These camps our your camps! The Marin Council is again teaming up with the Marin Rod & Gun Club to host the annual Marin Council Fishing Derby. The date is June 1, 10:00-1:00 and the location is the Marin Rod & Gun Club in Point San Quentin. This is a great opportunity for Scouts of all ages to fish and have fun. Joe Cilia will again conduct the event, and he has organized all the bait, instruction, prizes, and lunch. There is a BBQ lunch, patch, and fun for everyone! Click this link to find out all the information and to register. You must register online prior to the event. No walk-ins. Upcoming Shooting Range Staff Training Opportunities. The Shooting Sports Committee has set up an NRA Rifle Instructor course for Saturday-Sunday, April 13-14. Urgent: by now the normal sign-up deadline will have passed for NRA Rifle Instructor training on April 13/14 but contact Elizabeth Pontious immediately by phone or text at (415) 999-3384 to see if we can still get you into the class with materials. (There will be a late fee to overnight materials.) The NRA material shipping time controls the ultimate deadline. This is an NRA NATIONAL CERTIFICATION, not a BSA certification. This certification has an enormous impact on our ability to provide the shooting programs as we cannot use the .22 range without NRA certified range masters. Because of the strict NRA guidelines, this course is only offered by the committee 1-2 times a year. The committee is also teaching a short 4 hour class as a BB Rangemaster on Saturday afternoon April 13. Sign-ups and more detailed information for both are on the council web site under Training. Please pass this information on to adults in your unit and encourage their participation. If you know of anyone interested in being a BB, archery, or slingshot rangemaster but has a conflict on April 13, contact us, and we will arrange a training date for you. Contact Keith Angerman at (415) 509-8687, Steve Dutra at (415) 246-4744 or Elizabeth Pontious at (415) 999-3384. Remember your troop or crew gets free range time for every hour spent doing a service project for the ranges. Are you an adult Eagle Scout? If so, then mark your calendar for Tuesday, May 7, for our Gathering of Eagles dinner. Join with other Eagle alumni to celebrate Scouting and support the awarding of the Marin Council Eagle Alumni College Scholarship to this year's recipient. Invitations are in the mail. However, since we do not have every Eagle Scout on our mailing list, an online sign-up is available (link below). While the dinner is complimentary, you must pre-register for accurate food counts. Please note that due to an open reception, this event is limited to alumni over 21 years of age. Contact Michael Dybeck with any questions or to insure you are on the invitation list. The San Rafael Elks Lodge wants to put on an event for the veterans at the California Yountville Veterans Center in either May or June. The Elks will provide the gifts, the transportation, and insure the vans. The time for the distribution would be 11:00 a.m., so the vans would leave San Rafael around 9:30 a.m. (exact time & place to be determined, but most likely from the Elks Lodge on Mission Street). This opportunity is open to troops, packs, crews, and individual Scouts/Cubs if their troop/pack/crew cannot participate as a whole. Scouts and Scouters can suggest a date by calling or emailing Jessica Canty (below) as soon as possible. She will then gather available dates, choose the one when most units can come, and schedule it with the Veteran's center. interested, please contact the Elks representative directly: Jessica Canty, 415-408-1879. And for those who may not know, the Elks (national and local) provide all of the Eagle Scout packages for those who earn the rank of Eagle Scout. Locally, Lodge 1108 sponsors Troop 101 and Pack 101 in San Rafael. Thank you! What is the Unit Commissioner's Role? Of all their roles, this one is the most important. It springs from the attitude, "I care, I am here to help, what can I do for you?" Caring is the ingredient that makes commissioner service successful. He or she is an advocate of unit needs. A commissioner who makes herself/himself known and accepted now will be called on in future times of trouble. 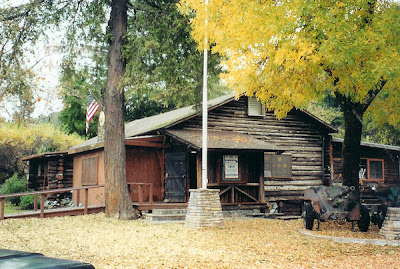 Scouts have met at and used the log cabin in San Anselmo for many years. It was built between 1933 and 1934 primarily by veterans of WWI, using local redwood trees and no power tools. It is home to the American Legion Post 179, Women's American Legion Auxiliary Unit 179, and Scouts BSA Troops 15 and 1015 as well as Venturing Crew 215. The cabin serves as a safe harbor for returning veterans and provides them a place to relax with a welcoming and supportive environment. The Log Cabin is truly a local landmark and historical structure. We were sent the attached article from a 1936 edition of The Rotarian Magazine regarding Scouts helping with the construction of the cabin. Read more . . .
Join us for Scout Day with the A's on Sunday afternoon, June 2nd and you'll receive that collector's patch as well as access to the Scout festival, a spot in the on-field pre-game parade, and a ticket to A's vs Astros at 1:07pm.Individual tickets can be purchased by clicking this link. Groups of 15 or more can receive discounted tickets and service fees waived by contacting Justin Jabs at 510-746-4440 or jjabs@athletics.com. From one Scout to another, I hope you are able to join us! This is June 16, 1:05 p.m., vs. Brewers. 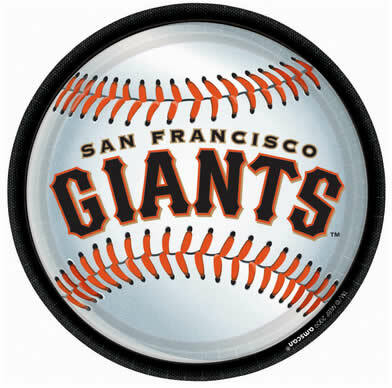 We are offering 10% off tickets, a Scout day SF Giants patch, scouts in uniform are invited for a pregame ceremony on the field, and a portion of each special event ticket goes towards Boy Scouts of America. Click here for more information. Calling All Scouts! Join in the Shell Eco-Marathon Americas, April 6, at the Sonoma Raceway! Register here. World Jamboree Update--We are still accepting applications, but we have shifted into Jambo Planning Mode. Over the next four months, we'll be providing information on how to best prepare for the Jambo. From the moment we arrive at the Summit, we'll be using Facebook and our other social media channels to bring the Jamboree to your friends, family and BSA Community who can't be there in person. Help remove litter from schools, city streets, median strips, creek banks, parks and bike paths! Meet us at the Civic Green at 901 Sherman Ave. Saturday, April 20, 9AM-1PM. For more information or to register as a unit call 415-899-8244 or visit Novato Street Scape. 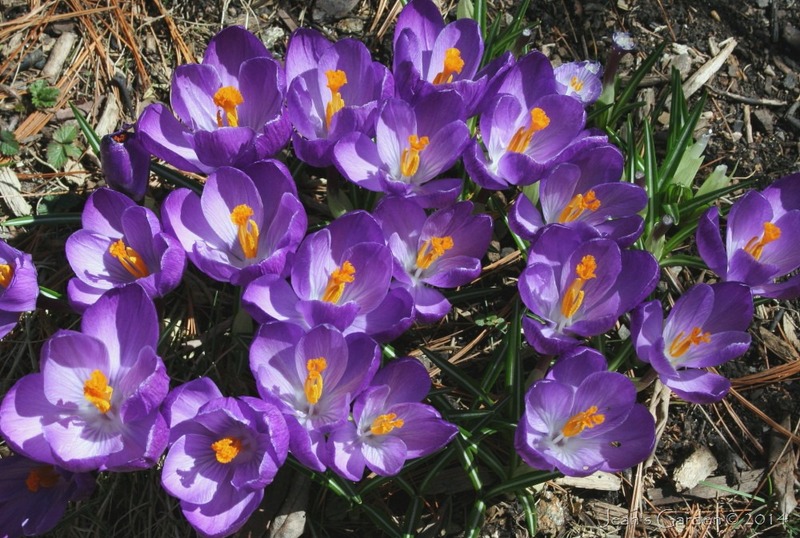 Join us for Earth Day or another regular habitat restoration project. Events details can be found at Marin County Parks.